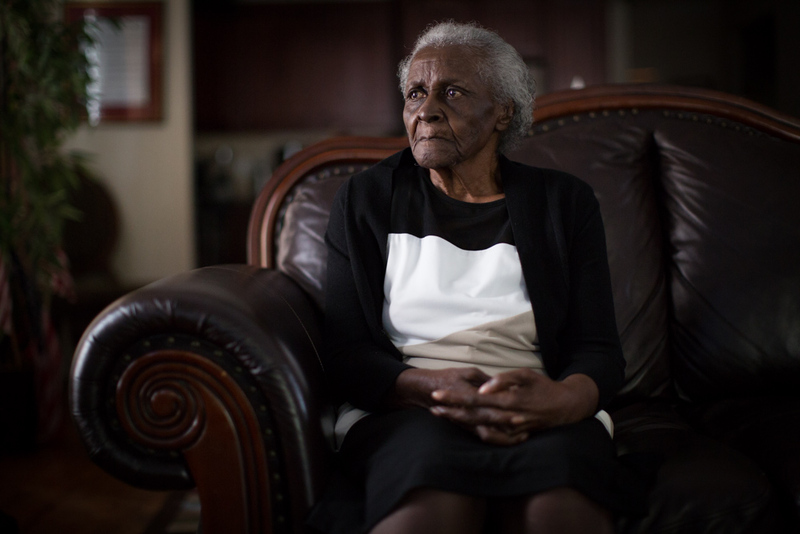 A 93-year-old woman fought the City of Atlanta and won. 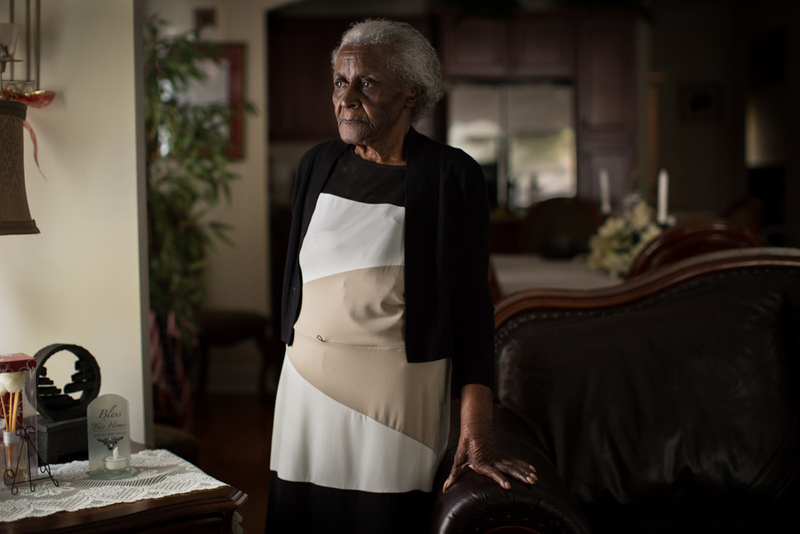 Mattie Jackson, pictured above in her home, refused to sell her house to the City after it deemed that the block she lived on in the Peoplestown neighborhood of Atlanta was unsafe. 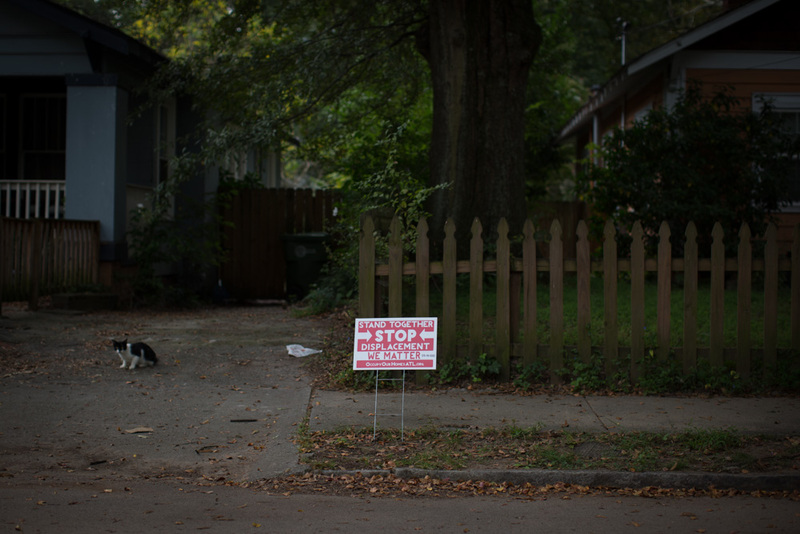 City officials contend that part of the neighborhood, which sits in a low-lying area near Turner Field, is susceptible to flooding of sewage. The City has purchased several properties and said that it would use legal measures, including eminent domain, to take ownership of the properties if homeowners didn’t sell. 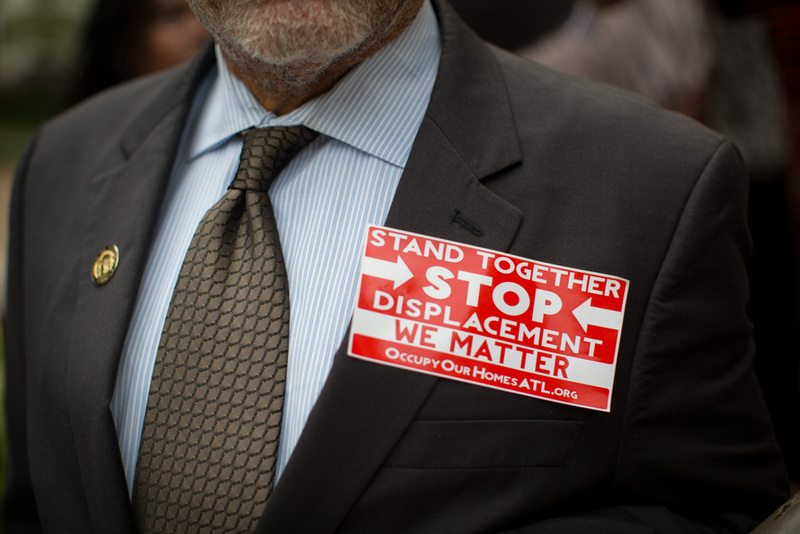 Several of Mattie’s neighbors did sell, and their homes have either been razed already or have vacated and boarded up. The city had planned to install a retention pond and a park on the properties. 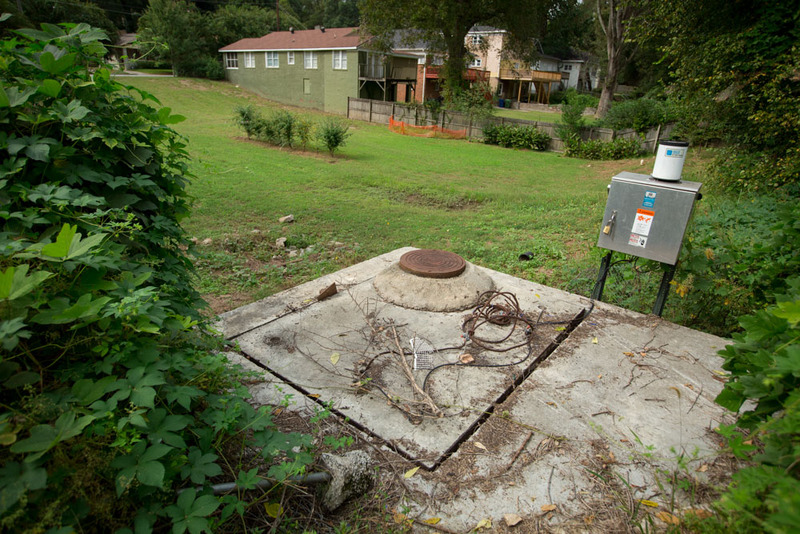 A sewage junction box (top photo) sits on one of the properties the city has already purchased. City officials say that the box could fail during heavy rains and flood the area with sewage. 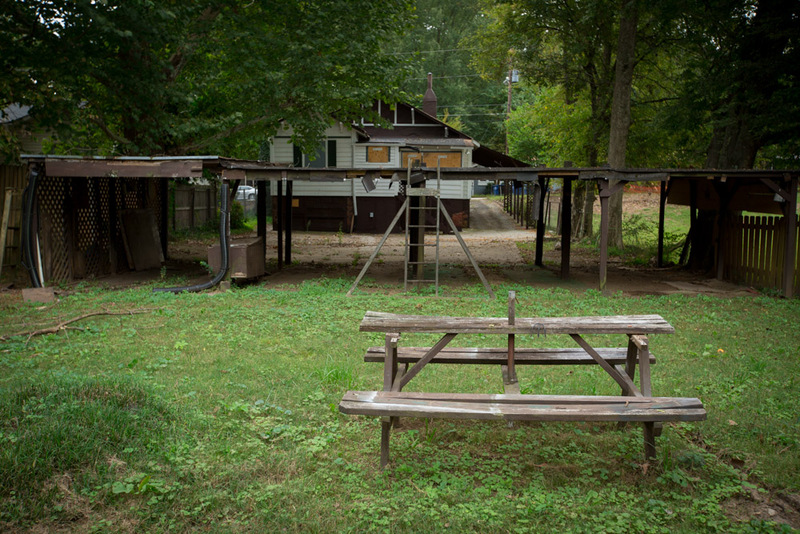 In the bottom photo, a the backyard and garage of a property purchased sits vacant. 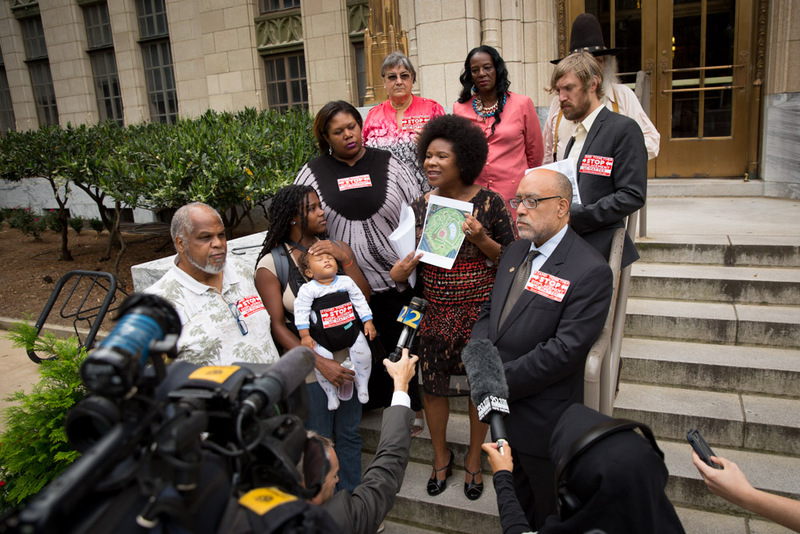 Tanya Washington, a resident of the Atlanta neighborhood Peoplestown (holding papers), talks to media during a press conference on the steps of Atlanta City Hall. 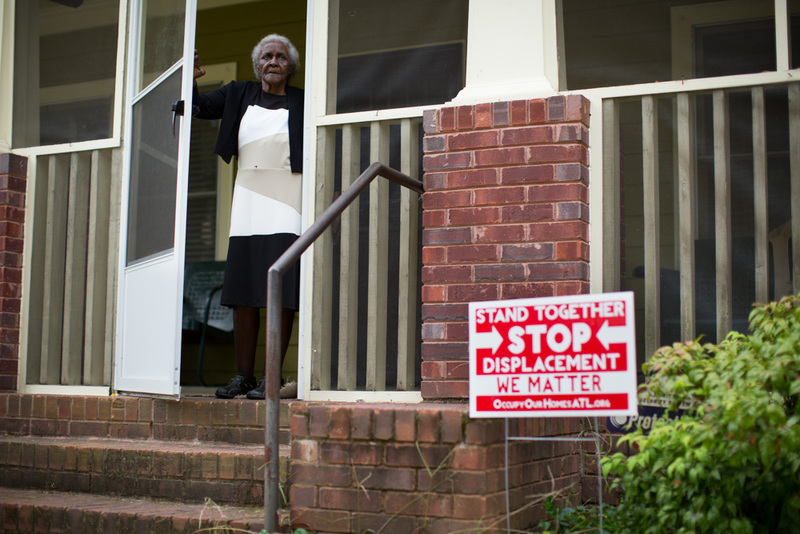 She and other Peoplestown residents were protesting the City’s plan. 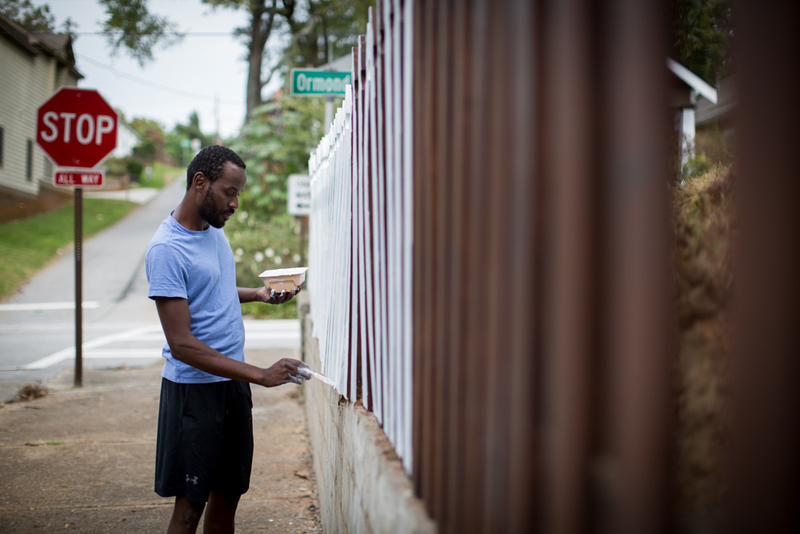 Peoplestown resident Deji Alaran paints a picket fence at his house. His home is just outside the area the City had planned to raze and turn into a retention pond and park. 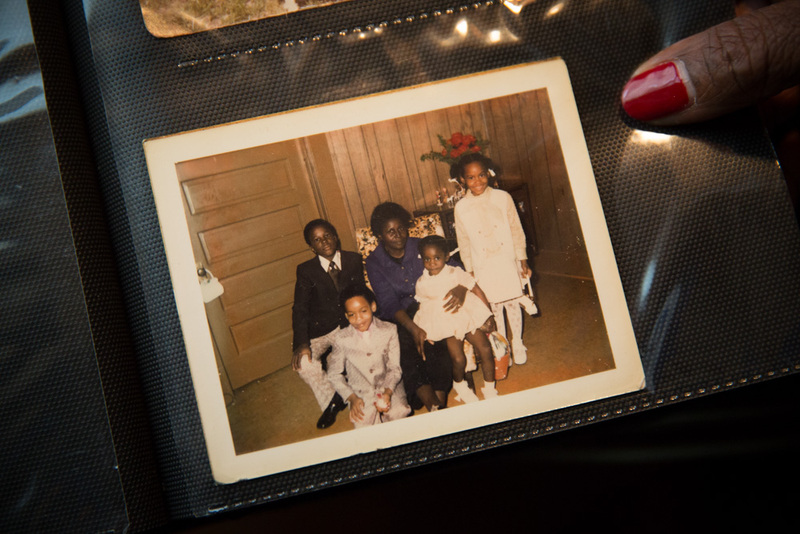 An undated old photo of Mattie with family members in her home in Peoplestown. 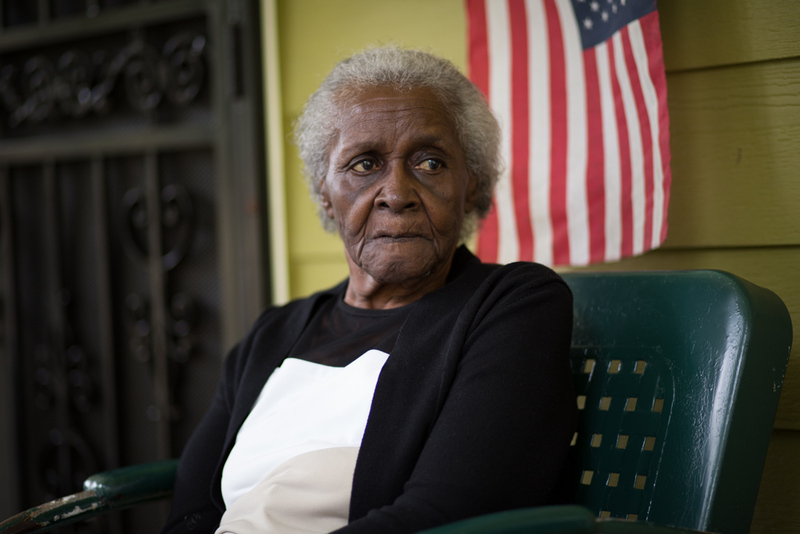 She has lived there most of her life.